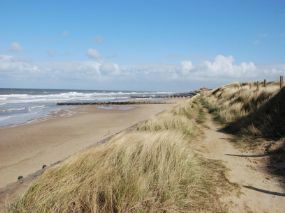 Norfolk coastal holidays have two properties allowing dogs to choose from. 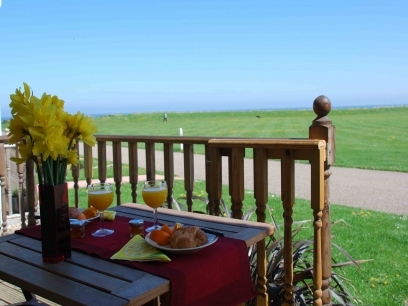 Beachscape and its sister property Tides are both dog friendly properties located on the Norfolk coast, with views across the park straight out to sea. 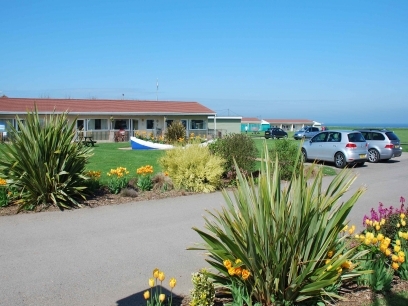 They are based in a peaceful holiday park, in a small village called Bacton. Access to the sea front is just yards away, with steps leading down the sea wall to the beach. You can walk with your dog for miles in either direction, enjoying the coastal air, spotting an occasional seal and ending up at a wonderful cafe or pub for a spot of food or a relaxing drink. Ideally placed to explore the area around, the Norfolk Broads, the seaside town of Cromer with shows all year round at the famous end of the pier theatre, Sheringham, Norwich and lots of quaint market towns. There are numerous stately homes, historic windmills, lighthouses, gardens, theme parks, zoos and more to explore. Whatever the weather Norfolk has plenty to keep you & your pet occupied. 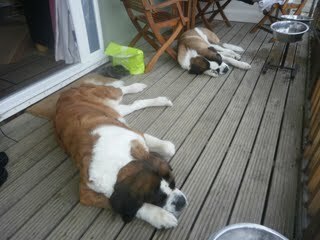 Alternatively you may just come to relax, enjoy the coast and go for walks with your dog. There is a small shop/newsagent in the village for your immediate needs, as well as a fish and chip shop, two cafes, two pubs, a lovely hotel restaurant, and one or two other small shops. There are plenty of dog friendly places nearby where you can eat, including the two pubs in the village, The Kingfisher cafe at nearby Walcott, or The Ship pub in Mundesley. The contemporary two bedroom homes are all on one level, making them suitable for everyone from the small child to the elderly. The properties consist of an open plan lounge/diner/kitchen, an inner hall leading to the bathroom, bedroom one with double bed and bedroom two with twin beds. 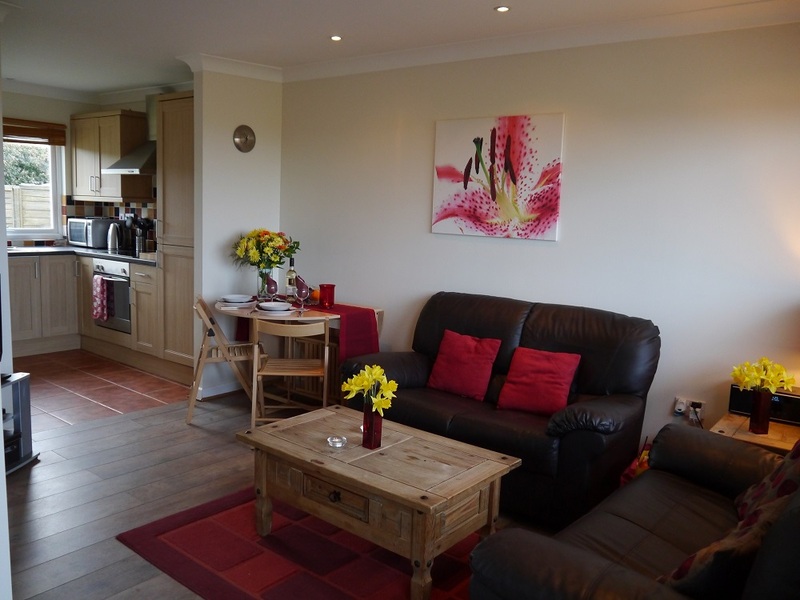 There is also a washing machine, cd player with ipod dock, heating for the cooler months and internet access is available at cost on site from an outside provider. The decking has a gate giving a secure outdoor area for your dog if required, but you are at liberty to use the rest of the park with your dog on a lead. There is a lovely children's playground a short walk off site. Guide Prices - from £285 per week depending on property. Short breaks of 3/4 nights available. Please check our website for prices and special offers at varying times.